How relevant is the literature festival in its sixth edition? 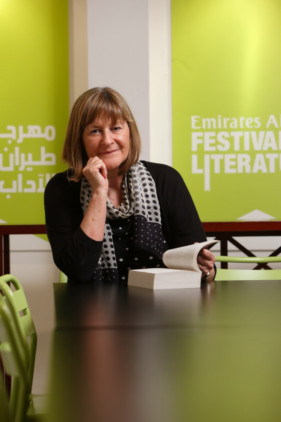 Will it help revive reading in the UAE? Reading books is still a popular past-time for many youngsters, and there are books written in such a way that capture their interest. The 2014 festival includes a vibrant programme for children of all ages. Among the speakers are John Burningham, Helen Oxenbury and Tony Ross who will lead sessions based on their well-loved stories and picture books. We also have Sally Gardner, winner of last year’s Carnegie Prize for her book Magot Moon, who is dyslexic and didn’t read a book until she was 14. She is a role model for reluctant readers. The festival receives countless letters from teachers, librarians and parents about the very positive effect it has on their students and children’s reading habits, turning non-readers into book lovers. What are the new features of this year’s festival? We have 300 sessions including panel discussions, talks, debates and readings. Every night will be marked with a spectacular opening ceremony at the DS&CA Theatre, Al Mamzar. Featured authors include Paddy Ashdown, Pam Ayres, Mohammad Achaari, Tim Rice, Christina Lamb and Ebrahim Mohammad Ebrahim, in conversation with Riz Khan. The atmospheric Desert Stanzas and Murder Mystery Dinner will be back by popular demand, while a new event, Friday Rhythms, will bring together poetry and music on Friday night. Female Focus will be the principal feature of Thursday morning. The Festival Prologue 2014 is again new with indepth workshops. How many authors are attending? More than 160 authors from 40 countries will be coming. Among others, they include Joanne Harris, Jojo Moyes, and Amish; crime and thriller writers Peter James, Camilla Lackberg and Simon Kernick, and a strong Arabic contingent which features Mohammad Achaari, Saud Alsanaousi, Maitha Al Khayat, AbdoKhal, Alia Mamdouh, and Ibrahim Nasrallah. We hear there is a new students’ competition this year? Hamdan Bin Mohammad Heritage Center Qasidah Par Coeur Competition is a performance-based poetry competition. Students must recite two poems, one in English or Arabic, and the other in the student’s mother tongue.